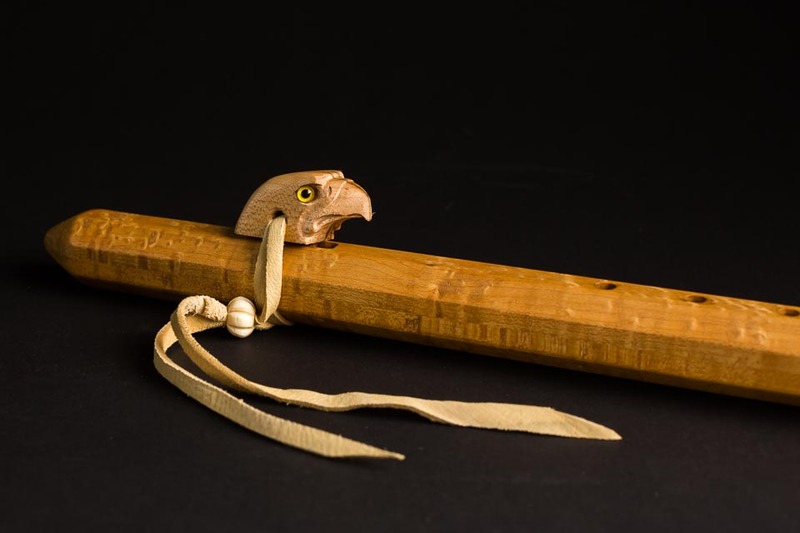 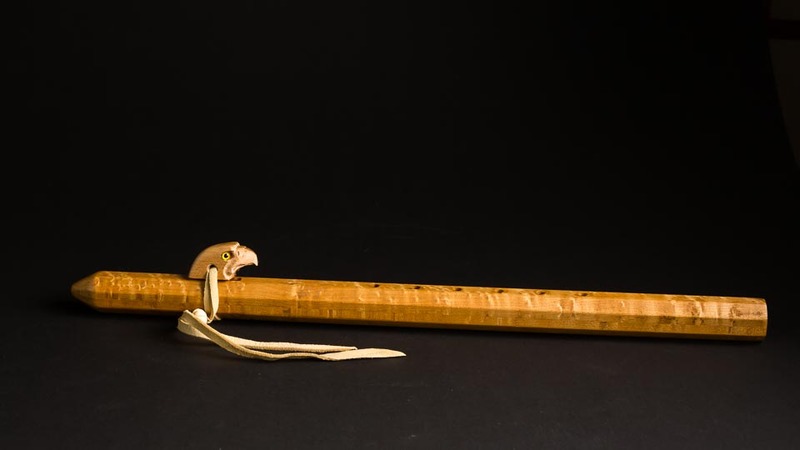 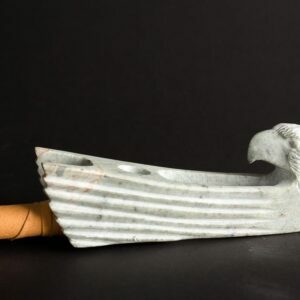 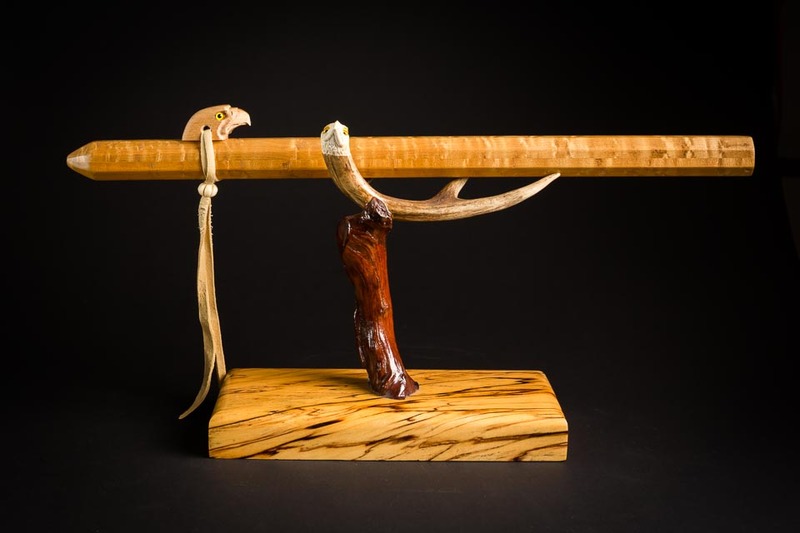 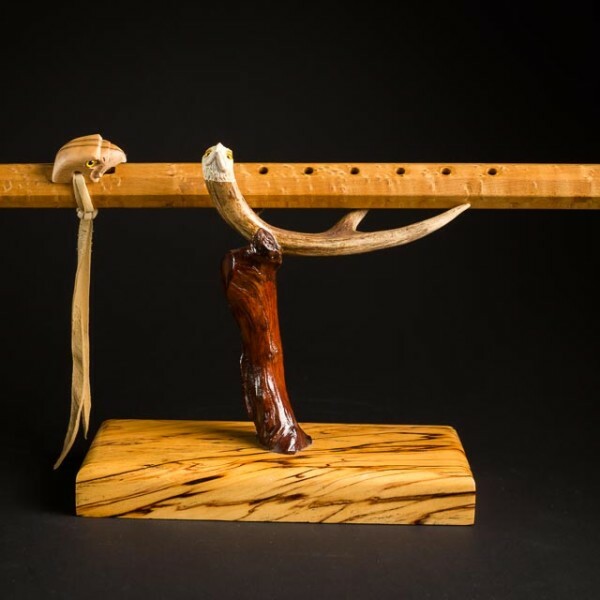 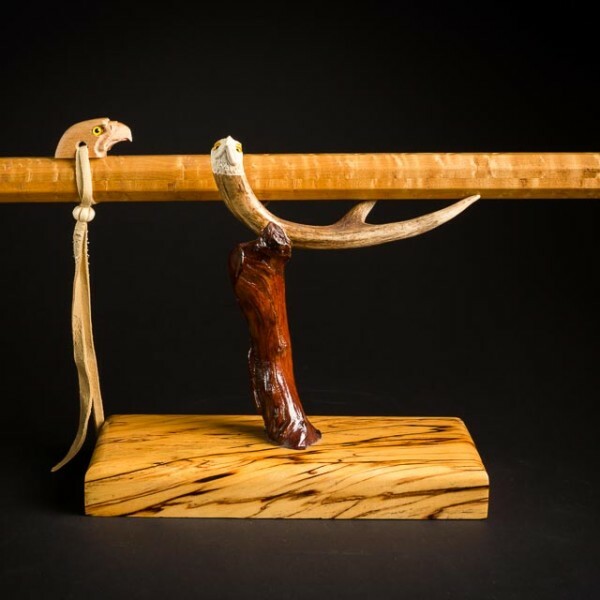 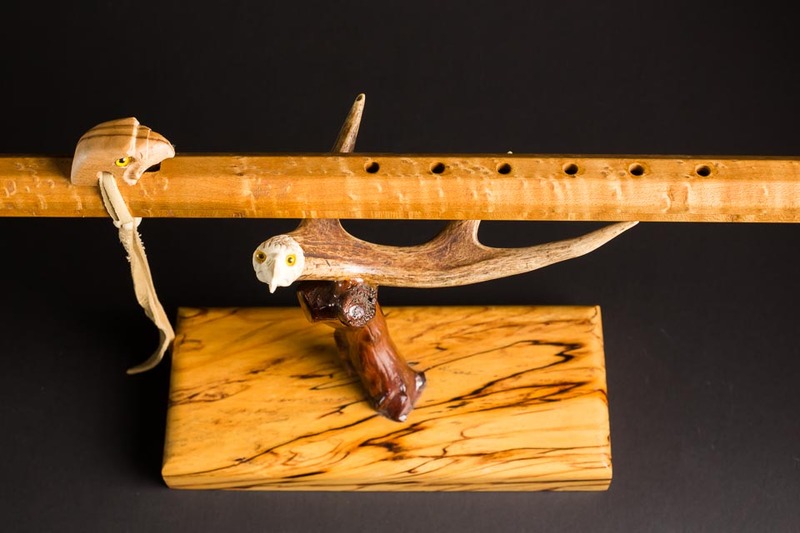 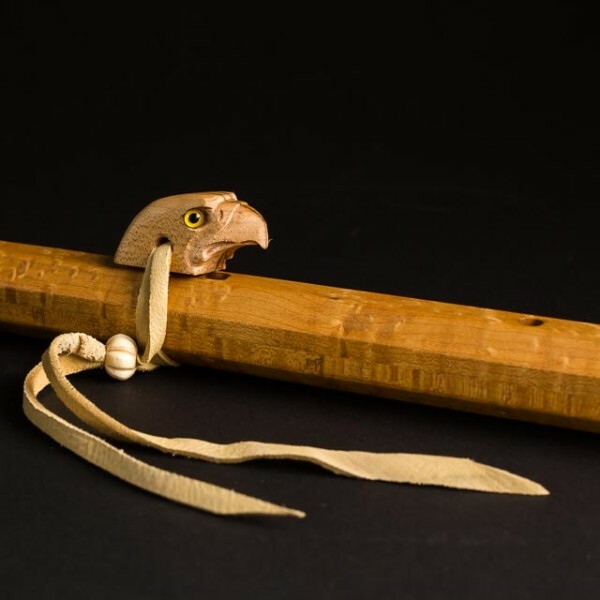 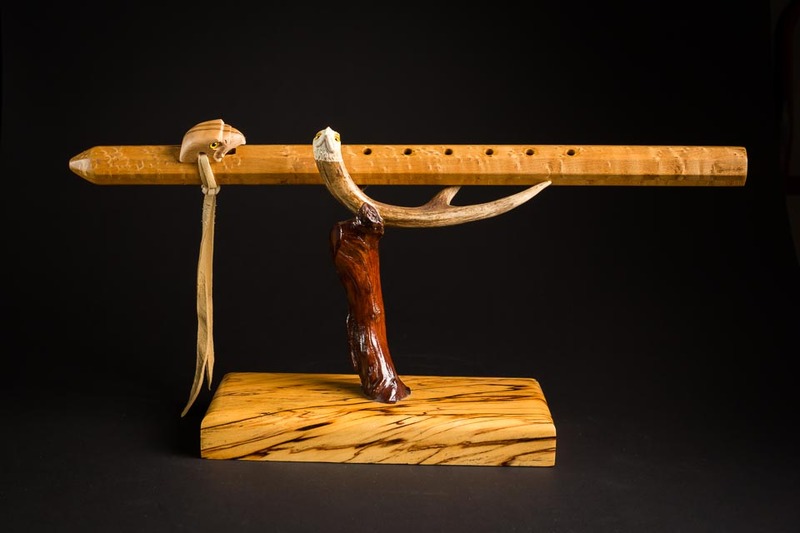 Hand-crafted Native American flute, Birdseye Maple with a hand-carved eagle. 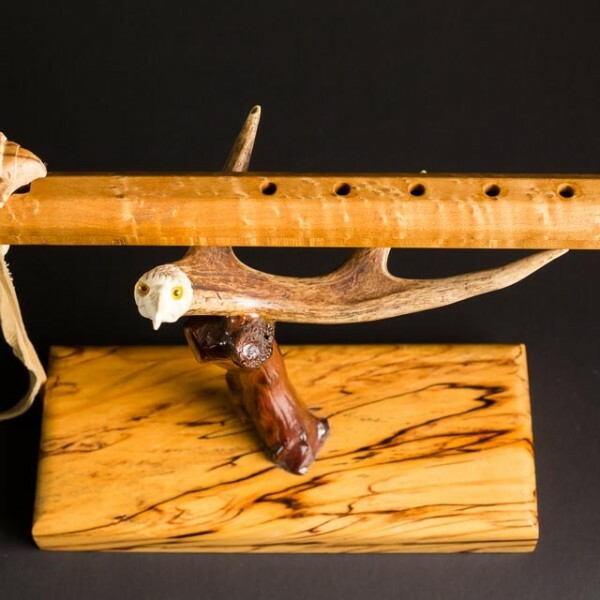 Unusual octagon shape makes this flute even more beautiful. 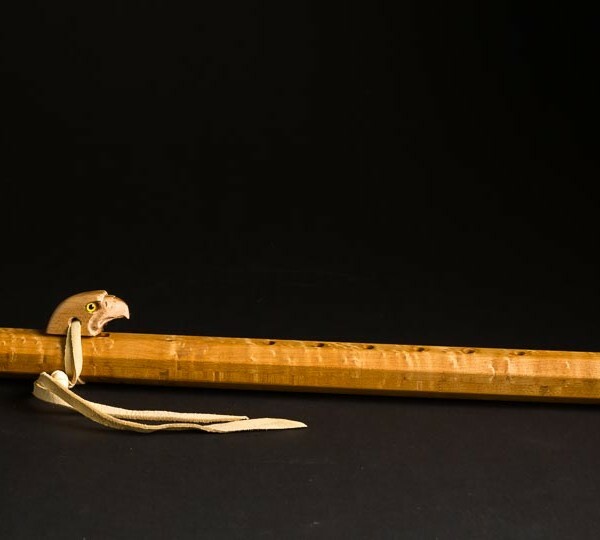 20 inches long, in the key of D.